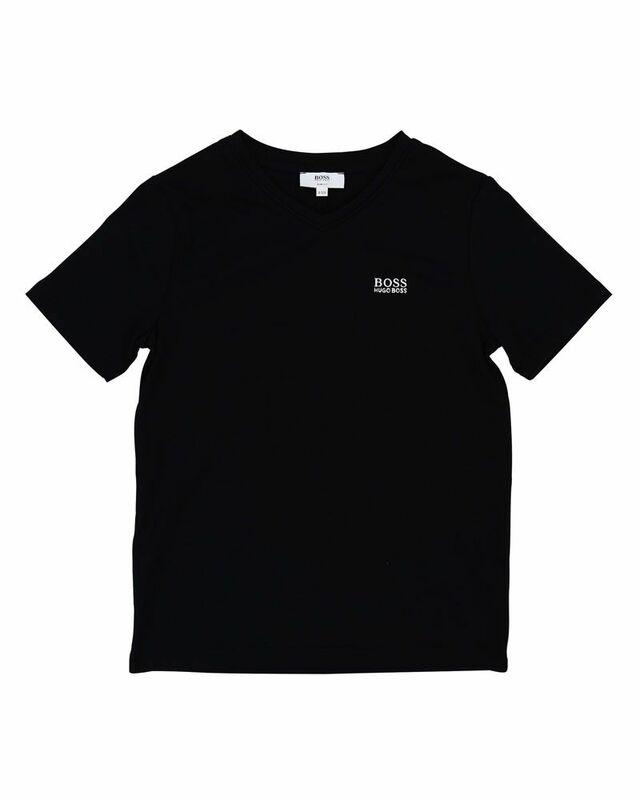 BOSS soft cotton black jersey v-neck tee shirt with white embroidered logo detailing on chest. 96% Cotton, 4% Elastan. Imported.